The second annual K-LOVE Christmas Tour, presented by 25 Entertainment, kicked off with a sold-out crowd Wednesday night in Greensboro, NC. Big Daddy Weave headlining tour featuring for KING & COUNTRY and Meredith Andrews is slated to hit an additional nine cities including four sold-out dates in Pittsburgh, PA; Indianapolis, IN; Chicago, IL, and Kansas City, MO. This past June at the first-ever K-LOVE Fan Awards both Big Daddy Weave and for KING & COUNTRY won two of the top honors with Big Daddy Weave taking home “Song of the Year” for their smash hit “Redeemed” while for KING & COUNTRY were presented the award for “Breakthrough Artist of the Year” by Meredith Andrews. In addition, for KING & COUNTRY’s Christmas EP, Into The Silent Night, currently holds the No. 1 spot on iTunes’ Christian Album’s chart. The relationship between 25 Entertainment and K-LOVE Radio provides the opportunity for radio listeners and fans to experience an inviting evening of Christmas music for the entire family during the holiday season in 10 of K-LOVE’s markets. In addition to music from these critically-acclaimed artists, Feed The Children will be the ministry focal point offering child sponsorships throughout the tour. The non-profit organization will also sponsor a separate event in each city along the tour to feed over 4,000 families in all. On Wednesday, Feed The Children with the help of the tour artists, fed over 380 in need families. Feed The Children is one of the world’s largest charities with the mission of providing hope and resources for those without life’s essential needs. In the U.S., Feed The Children works with local agencies to distribute food and necessities to over 400,000 families annually. This year, Big Daddy Weave’s monster hit song “Redeemed,” which spent 11 weeks at No. 1, took home top honors for “Song of the Year” at the first-ever K-LOVE Fan Awards and received nominations for “Christian Song of the Year” at the 2013 Billboard Music Awards and “Song of the Year” at the 2013 Dove Awards. The single from the band’s latest album, Love Come To Life, which also features the group’s current single at radio, “The Only Name (Yours Will Be).” The band, comprised of Mike Weaver, Jay Weaver, Jeremy Redmon Joe Shirk and Brian Beihl, formed when the original members were attending the University of Mobile. In 2002 they stepped into the spotlight with the release of their second album, One and Only, which debuted in SoundScan’s Christian Top 5 and earned them a nomination for Dove Awards’ “New Artist of the Year.” In 2010, Big Daddy Weave took home the Dove Award for “Christmas Album of the Year” for their seventh album Christ Is Come. They have also been honored at ASCAP’s Christian Music Awards and are one of the 10 most played artists at Christian radio over the past decade. For more information on Big Daddy Weave please visit www.bigdaddyweave.com. for KING & COUNTRY, recently named “New Artist of the Year” at the 44th Annual Dove Awards and “Breakthrough Artist of the Year” at the first annual K-LOVE Fan Awards, released their critically acclaimed debut album, Crave, in 2012. On January 10, they made their late night debut performing their hit song and iTunes’ 2012 “Breakthrough Christian & Gospel Song of the Year,” “The Proof Of Your Love,” on “The Tonight Show with Jay Leno.” In 2012, for KING & COUNTRY was named as one of Billboard’s 17 acts to watch and were CCM’s best-selling new artist. New Release Tuesday noted that Crave was “One of the Best Debut Projects in Years!” ET’s “The Insider” said the duo, “make music that speaks directly to your heart” and have been “gaining popularity in the alt-rock genre.” American Songwriter commented that “for KING & COUNTRY may just be Australia’s answer to Coldplay.” Stay tuned to www.forKINGandCOUNTRY.com for the most current news. With her Word Entertainment’s debut release in 2008, Meredith Andrews’ insightful songs and engaging voice awarded her recognition as Billboard Magazine’s “Most Promising New Artist.” In 2011, she picked up two Dove Awards for “Worship Song of the Year” and “Praise and Worship Album of the Year,” quickly distinguishing her as one of the preeminent worship leaders and songwriters in the Christian music community. 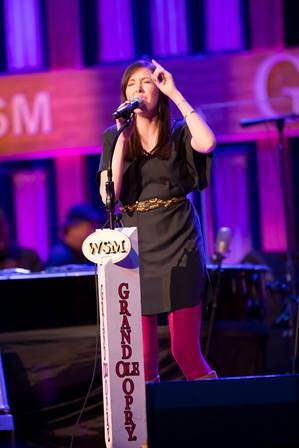 With the success of her debut album and her sophomore release in 2010, As Long As It Takes, she was afforded the opportunity to tour with acclaimed CCM artists Natalie Grant, Brandon Heath, Bebo Norman and Michael W. Smith. Her much-anticipated third studio album, Worth It All, featuring singles “Worth It All,” “Strong God” and “Pieces,” was released January 22, 2013. A native of Wilson, NC, Meredith began singing in church when she was only six, and by the time she was in high school, she was writing songs and leading worship. For more information on Meredith Andrews please visit www.meredithandrews.com. Founded in 1979 and headquartered in Oklahoma City, Oklahoma, Feed The Children is one of the largest international charities based in the U.S. With the mission of providing hope and resources for those without life’s essentials, Feed The Children is a BBB Wise Giving Alliance accredited charity and uses a comprehensive and integrated program to combat hunger and poverty. Feed The Children addresses four basic needs: food and nutrition, water and sanitation, education and health, and livelihood community development. In addition to helping families and communities around the world achieve lasting self-sufficiency, Feed The Children also responds quickly in times of disaster to provide emergency supplies for those in need. K-LOVE creates compelling media designed to inspire and encourage people to develop a meaningful relationship with Christ. K-LOVE is listener supported and delivers positive, encouraging contemporary Christian music through its 446 signals across 47 states. For more information visit:www.klove.com. 25 Entertainment is the event booking, production and promotion arm of Word Entertainment, acomprehensive Christian entertainment company comprised of multi-faceted artist service departments including recorded music, publishing, distribution, merchandising, Church resources, and online initiatives. Based in Nashville, 25 Entertainment’s roster includes some of the world’s most-renowned Christian artists including Chris August, Natalie Grant, Phillips, Craig & Dean, Point of Grace, and Sidewalk Prophets. The company also proudly represents Girls of Grace, a nationwide conference for 6th – 12th grade girls, focusing on common age-related issues with positive Christian messages. A leader in the music industry for over 60 years, Word Entertainment, a Warner/Curb company, is a unique, comprehensive entertainment company comprised of multi-faceted artist service departments including publishing, merchandising, booking, and online initiatives. Word Entertainment represents some of the top names and brands in music, including Meredith Andrews, Chris August, Francesca Battistelli, Big Daddy Weave, Jason Castro, Patrick Ryan Clark, Everfound, for KING & COUNTRY, Group 1 Crew, Love & The Outcome, Dara Maclean, NEEDTOBREATHE, Point Of Grace, Sidewalk Prophets, Skillet, Switchfoot and We As Human and is home to 25 Entertainment, Word Distribution (representing Curb Records and Big Idea/VeggieTales among others), Word Music Publications & Church Resources, Word Films, Word Music Publishing and Word Label Group’s Word Records, Word Worship and Fervent Records. Nashville, TN – (January 20, 2013) –Word Entertainment is partnering once again with Mark Burnett, Roma Downey and their production company LightWorkers Media to releaseSON OF GOD: Music Inspired by the Epic Motion Picture on December 26. 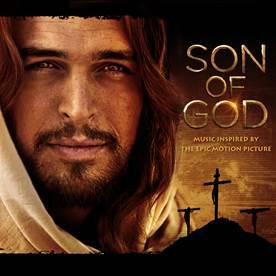 The 12-song collection, a musical companion to the 20th Century Fox feature film “Son of God” due out February 28, features music by today’s top Christian artists including Meredith Andrews, Chris August, Big Daddy Weave, Jason Castro, Everfound, for KING & COUNTRY, Love & The Outcome, Dara Maclean, Point of Grace, Sidewalk Prophets and Group 1 Crew’s No. 1 hit “He Said” (feat. Chris August). Artists included on the album have a combined total of 45 No. 1 hits and 25 Dove Awards. 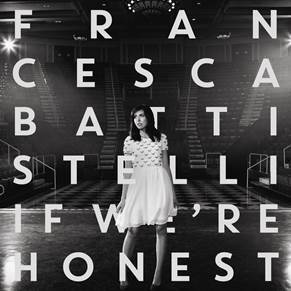 Also included on the compilation is “Oh, Son of God,” a brand new song by Grammy-nominated artist and Dove Awards’ 2011 “Artist of the Year” Francesca Batistelli. Downey and Burnett brought the epic 10-hour mini-series “The Bible” to television audiences on the History channel with their company LightWorkers Media. It became the top entertainment telecast of the year, received three Emmy® Award nominations and has been viewed by over 100 million people to date. On February 28, they will bring the 20th Century Fox feature film “Son of God” to millions of people worldwide on the big screen. Word Entertainment partnered with Burnett and Downey to release the musical companion to the epic mini-series “The Bible.” Announced earlier this month, they are also joining forces on “The Bible: Son of God Tour 2014” slated to commence on March 20 at Rick Warren’s Saddleback Church in Southern California and run 16 dates through April 13. Celebrated Emmy-nominated actress Roma Downey and her husband producer Mark Burnett launched LightWorkers Media in 2011 with the children’s DVD and book series “Little Angels” and its companion “Little Angels Storybook Bible”. LightWorkers Media produced the ten-hour miniseries THE BIBLE and will be producing the feature film version SON OF GOD for 20th Century Fox. They recently acquired Alice Hoffman’s award winning novel The Dovekeepers. LightWorkers Media is dedicated to shining a light and bringing uplifting content to people of all ages. 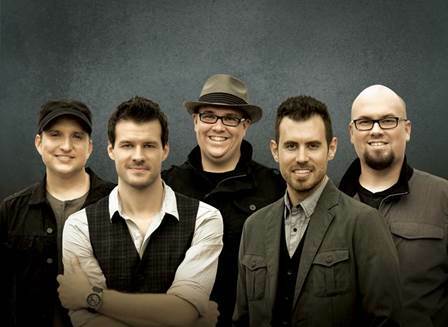 NASHVILLE, TN – (January 6, 2014) – Dove Award-winning group Big Daddy Weave is celebrating their third consecutive No. 1 hit with “The Only Name (Yours Will Be)” today. It is the first No. 1 single of the year on both the National Christian Audience chart and AC Monitored chart. This marks the second straight year the band has scored the first AC Monitored No. 1 of the year, with the band’s blockbuster hit, “Redeemed,” holding the top spot for the first chart in January 2013. The three consecutive No. 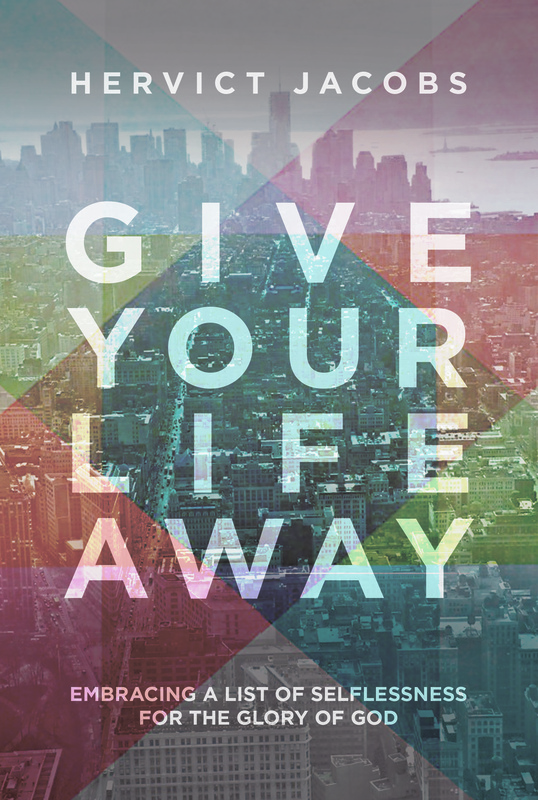 1 singles – “Love Come To Life,” “Redeemed” and “The Only Name (Yours Will Be)” – are all from Big Daddy Weave’s current and career best-selling album,Love Come To Life. On February 21, Big Daddy Weave will embark on the second leg of “The Only Name Tour” with support from Group 1 Crew and Tim Timmons. It is slated to run 31 dates through May 3. For more information on Big Daddy Weave and to purchase tickets, please visitwww.BigDaddyWeave.com/shows . Dove Award-winning band Big Daddy Weave, one of Christian Music’s mainstays, is currently enjoying its career best-selling album, Love Come To Life, an album boasting three consecutive number one radio singles: “Love Come To Life,” “Redeemed,” and “The Only Name (Yours Will Be).” In 2013, Big Daddy Weave’s monster hit song and career best-selling track, “Redeemed,” spent 11 weeks at No. 1, and took home the prestigious trophy for “Song of the Year” at the first-ever K-LOVE Fan Awards, while receiving nominations for “Christian Song of the Year” at the 2013 Billboard Music Awards, and “Song of the Year” at the 2013 Dove Awards. The first Christian AC-Monitored radio chart of 2013 featured “Redeemed” in the number one position, while the first AC-Monitored chart of 2014 rang in with “The Only Name (Yours Will Be)” in the top spot. The band, comprised of Mike Weaver, Jay Weaver, Jeremy Redmon, Joe Shirk and Brian Beihl, formed when the original members were attending the University of Mobile. In 2002, Big Daddy Weave stepped into the spotlight with the release of its second album,One and Only, which debuted in SoundScan’s Christian Top 5 and earned them a Dove Award nomination for “New Artist of the Year.” In 2010, Big Daddy Weave took home the Dove Award for “Christmas Album of the Year” for its seventh album, Christ Is Come. The band has also been honored at ASCAP’s Christian Music Awards and BMI’s Christian Music Awards and is one of the 10 most played artists at Christian radio over the past decade. Integrity Music announces the January 21 global release of Playlist: The Very Best of Israel & New Breed, a 13-song collection that is the latest addition to Sony Music’s popular “Playlist” series featuring legacy artists that span a variety of genres. A collaboration between Integrity and Sony, the project joins a long list of Sony’s best-selling “Playlist” titles from artists who have helped define their genres – – from Billy Joel to Billie Holiday. Playlist: The Very Best of Israel & New Breed features songs from the GRAMMY Award winning group’s albums along with songs from New Breed founder Israel Houghton’s solo projects. Known for bending genre rules, there’s no box that Israel Houghton can’t punch his way out of musically. Born from the circle of a white mother and a black father, raised within a blended white family, a Latino neighborhood and a spirited church, Houghton has challenged cultural and denominational biases since his youth. And he used his experiences to fuel the creation of his band New Breed as a means to overcome such divisions within the faith community. As a result, Houghton and New Breed have created a canon of songs that have become standards in houses of faith around the globe, while also earning GRAMMY, Dove, Stellar, Soul Train and Premios ARPA awards. “I remember early on facing some walls and divisions that were skin-tone oriented, where people said you should just do it this way or just do it that way,” Houghton once told Charisma magazine. “White people would say, ‘Don’t do black music,’ and black people would say, ‘Don’t do white music.’ And it got so frustrating.” So, Houghton decided to just make the music his heart envisioned – meshing a variety of styles he refers to as a “Kingdom sound” – and eventually it caught on in a big way. This “Playlist” album focuses on some of Houghton’s most creative musical moments that unite fans of Christian artists like Chris Tomlin and Gospel/Urban greats such as Kirk Franklin. In fact, Franklin, along with artists Michael Gungor and Fred Hammond, also make guest appearances on the selected songs as does Houghton’s friend, fellow producer and New Breed member Aaron Lindsey. Playlist: The Very Best of Israel & New Breed will be available wherever Christian music is sold, including digital service providers such as iTunes and Amazon. A worship leader and member of Houston’s Lakewood Church, Israel Houghton has also led worship for Hillsong conferences, Franklin Graham crusades and a variety of music festivals around the world. His latest, best-selling album with New Breed is the live, two-disc CD (and DVD) Jesus At The Center. He is currently producing a new Integrity album with Covenant Worship, featuring David and Nicole Binion. Additional information can be found athttp://newbreedmusic.com. Integrity Music is part of the David C Cook family, a nonprofit global resource provider serving the Church with life-transforming materials. Headquartered in Colorado Springs, Colorado, Integrity is committed to taking songs of substance to the local church and its leaders around the world. Additional information can be found atwww.integritymusic.com. 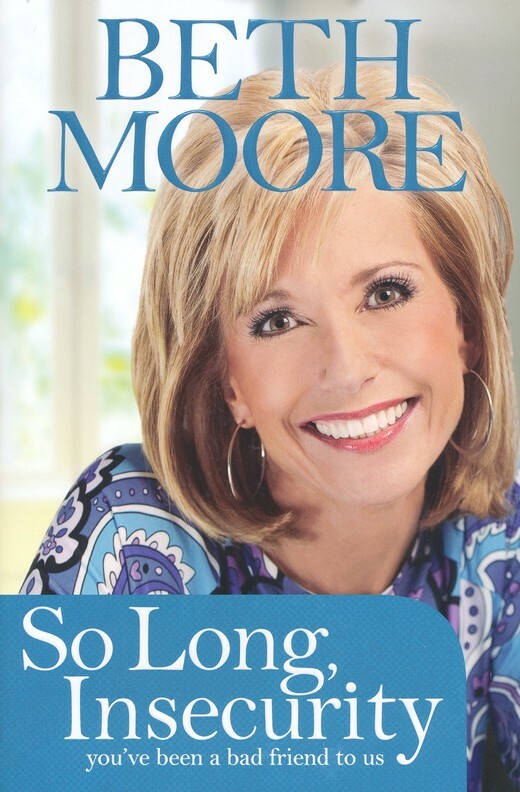 Download 16 Beth Moore Books FREE ! NASHVILLE, Tenn.-Marking yet another first in its record-breaking history, NewSong‘s Winter Jam Tour Spectacular-the world’s #1 first quarter tour for three consecutive years based on attendance-comes to Atlanta’s Georgia Dome February 8. In addition to Winter Jam’s star-studded 2014 lineup-led by Newsboys and Lecrae-the Winter Jam 2014 Dome Spectacular will feature a special appearance by University of Georgia head football coach Mark Richt and other surprise guests. Making Winter Jam an all-day event, the inaugural “JAM ZONE presented by KIA” and sponsored by Country Financial, the Creation Museum and the Israel Ministry of Tourism, among others, will be held from 10 am-6 pm in the World Congress Center. JAM ZONE is a free, expo-style event, featuring a live performance stage and more than 85 booths of local businesses and exhibitors, in addition to food and merchandise vendors. Fans will also be able to interact with Winter Jam artists throughout the day at the Winter Jam autograph booth. NewSong’s Winter Jam 2014 Tour Spectacular features Multi-GRAMMY® nominated Newsboys and groundbreaking GRAMMY®-winning rap/hip-hop recording artist Lecrae, along with Tenth Avenue North, Thousand Foot Krutch, Plumb, NewSong and Colton Dixon, as well as a message from national evangelist Nick Hall. In addition the iDisciple App Pre-Jam Party will feature Love & The Outcome, Everfound and Derek Minor. Promoted by Premier Productions and presented by Holt International, NewSong’s Winter Jam 2014 Tour Spectacular will hit 48 cities, before concluding March 30. The Tour is sponsored by God’s Not Dead the movie, University of Mobile, Pepsi, TheOverflow.com, Camp Electric, Premier Christian Cruises, Xtreme Conferences, Wayne E. Bailey Produce, and Texas TransEastern. For the third consecutive time, last year’s Winter Jam Tour Spectacular topped Pollstar’s Worldwide First Quarter Ticket Sales Charts – Top 100 Tours, surpassing all other 2013 first quarter tours. Since creating Winter Jam in 1995, NewSong hosts and continues to oversee the exponential growth of this groundbreaking tour. Among the music industry’s top outings, Winter Jam features Christian music’s best and brightest artists and provides a powerful platform for the Gospel message across the country. A complete list of Winter Jam 2014 Tour Spectacular dates and cities is available at JamTour.com. Nashville, Tenn. (January 15, 2014) – Ending 2013 on a high note with the release of their energetic single, “Shake,” GRAMMY®-nominated, American Music Award and Dove Award winning band MercyMe carries the enthusiasm into 2014 as they announce their eighth studio album Welcome To The New, available April 8, 2014 from Fair Trade. Collaborating with producers David Garcia and Ben Glover (TobyMac, Mandisa), Welcome To The New represents a shift in tone for the multi-platinum selling group. Last fall, MercyMe released “Shake,” their first single from Welcome To The New. The song was an instant hit with radio audiences, gaining adds from 75 stations including K-LOVE, Air 1, Salem Music Network, KLTY/Dallas and more, while shooting up into the Top 20 on the Billboard National Christian Audience Chart. The single’s impressive momentum has translated well for the “Shake” music video. Filmed on the downtown streets of Huntsville, Ala. with dancers from the North Alabama Dance Center and over 100 local extras, the high-energy, choreographed music video has been viewed nearly 700,000 times over several video platforms. Fans of the band have been buzzing about the video, using the hashtag “#MMShake” to share their own videos and responses via Facebook, Twitter and Instagram. The album will be available for pre-order at Lifeway, Family Christian Stores and other participating retailers on January 28, as well as iTunes® on February 18. Since their debut in 2001, GRAMMY®-nominated, American Music Award and multiple Dove Award winners MercyMe have sold over 6 million units in CD and DVD sales, garnered 25 No. 1 multi-format Christian radio singles and four consecutive mainstream radio hits with “I Can Only Imagine,” (No. 4 AC/Top 25 on Top 40/Hot AC), “Here With Me” (No. 4 AC), “Homesick” (Top 10 AC), and “So Long Self.” In 2009, Billboard named MercyMe’s “Word Of God Speak” the No. 1 Song of The Decade and the group the No. 1 Christian Songs Artist of the Decade, with an additional No. 1 as the Christian AC Song Artist of The Decade as one of the industry’s most notable talents. 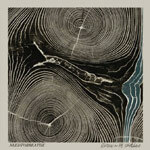 MercyMe made history as “I Can Only Imagine” surpassed 1 million digital downloads, making it the first song in Christian music to go platinum in the digital domain. MercyMe has sold out venues across the nation, including Radio City Music Hall, and has appeared on The Tonight Show, CNN, Fox New Channel’s Fox & Friends, ABC News, CBS This Morning and in the pages of Entertainment Weekly, The New York Times, USA Today, Billboard and more. Their eighth studio album, Welcome To The New, will be available on April 8, 2014. 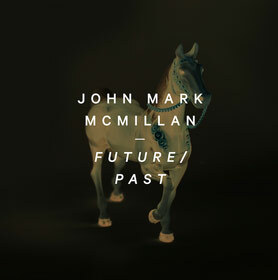 NASHVILLE, TENN. – January 14, 2014 –Acclaimed singer/songwriter John Mark McMillan has just released his first single, “Future / Past” from his upcoming independent release, Borderland, at iTunes. 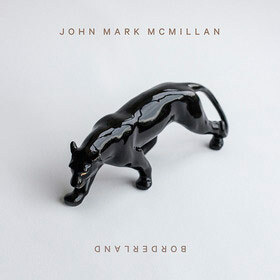 John Mark’s fourth studio album will release on March 4, 2014. Just hours after releasing, “Future / Past” jumped to No. 2 on the iTunes Christian & Gospel Song chart. Click here to purchase this single. Supporting today’s single release, John Mark’s music video for the song is also exclusively debuting at RELEVANT TV. Click on the image below to watch this video. This will be the first album released through John Mark’s recently launched record label, Lionhawk Records. Borderland was funded by a Kickstarter campaign in 2013 raising over $69,000 and backed by more than 1,500 contributors. In addition to the anticipation around McMillan’s upcoming LP, the Charlotte, North Carolina native’s previous work continues with its success. In 2012, “Seen A Darkness,” from his last album Economy, was featured in the promo for the Grey’s Anatomy episode, “Hope for the Hopeless” (Season 8: Episode 12). His single “How He Loves” was recently listed by Integrity Music as one of the 25 most influential worship songs in the past 25 years and still today ranks on CCLI’s Top 25 chart. John Mark is proud to be an ambassador for World Vision and an advocate for its work in Bahkari, India. 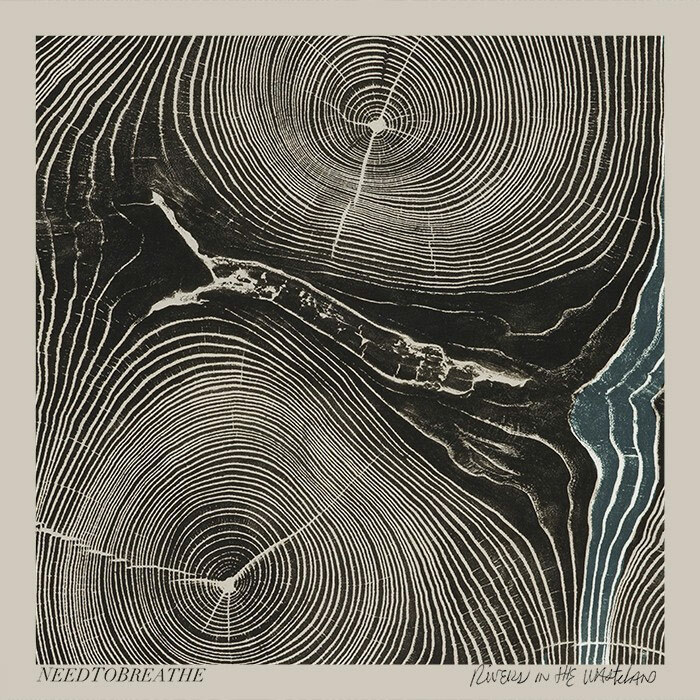 Rivers In The Wasteland – the sound of a band excited to reconnect with the idea of a fresh start – was co-produced by the band with the help of various producers including Joe Chiccarelli, Kevin Augunas, Ed Cash and Jerrod Bettis, and was recorded at the band’s own Plantation Studios in Charleston, Fairfax Recordings (formally Sound City Studios) in Los Angeles and Blackbird Studios in Nashville. Nashville, TN (January 14, 2014) – Chances are you’ve heard of musician, thought leader, blogger and communicator Carlos Whittaker and just didn’t realize it. You may have heard of him through a certain viral video that received a People’s Choice Award, his segment on TLC’s “LA Ink” or maybe through his popular blog. Whatever the outlet, one thing’s for certain – Carlos Whittaker knows how to make big moments in his life. On April 1, Whittaker brings it all together in his first book aptly titled, “Moment Maker – You Can Live Your Life or It Will Live You.” With life happening all around, what you get out of it depends on how engaged and deliberate you are. In “Moment Maker,” Whittaker shares how he has learned to make each moment count and how those moments add up to a life rich with meaning and full of purpose. For Carlos Whittaker living deliberately is a way of life. Making moments that are significant, memorable or impactful is a part of how he navigates each day, and it has forever changed the landscape of his story. Whittaker divides these discoveries into three parts – “Creating Moment,” “Receiving Moments” and “Rescuing Moments.” Through lessons and application, Whittaker explains his methodology for living intentionally and claiming moments that touch the lives of others whether they be his family, his friends, his colleagues or complete strangers. National Worship Leader Conference has announced its 2014 conference event schedule featuring special appearances by Nicole C.Mullen, Tim Hughes, Matt Maher, Paul Baloche Meredith Andrews, Rush of Fools, Christy Nockels, All Sons and Daughters, Tim Timmons, One Sonic Society, The Digital Age, Gateway Worship, and many more. Keynote speakers, such as Leonard Sweet, Bill and Gloria Gaither, Marva Dawn, Marcos Witt, include the most influential, insightful and challenging thought leaders in the Church across traditions. 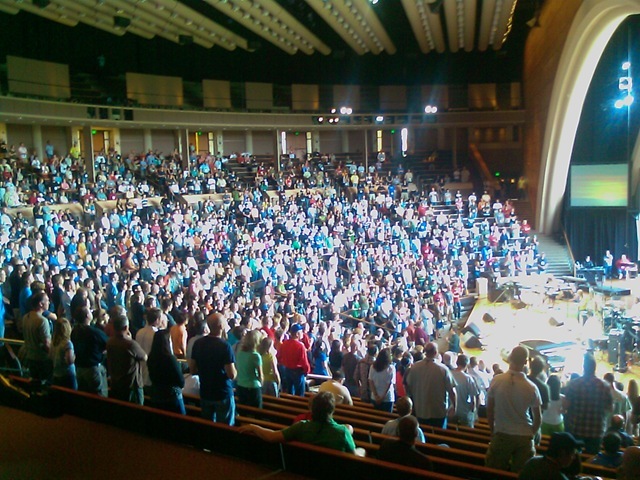 National Worship Leader Conference, presenting the nation’s leading training events for worship leaders regularly draws attendees from around the world and across the nation. The conference has expanded into new cities in 2014 and will be kicking off its year of events Feb 24-27th in Dallas, Texas; followed by conferences in Virginia (DC) on May 12th-14th; San Jose, California on June 16th-19th; and rounding out the year in Kansas City, Kansas on July 14th-17th. With over 80 workshops featuring many of the country’s leading worship artists, songwriters, thought leaders, biblical scholars, teachers, VJs and sound techs, conference attendees will also have access to cutting-edge technology and the ability to stream conference content long after the event is over. The National Worship Leader Conference serves the needs of the entire worship team by offering customizable educational opportunities, access to face-to-face mentorship from leading artists, and a chance to form lasting friendships within the worship community. 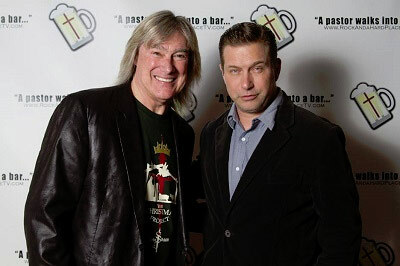 NASHVILLE, Tenn. (January 14, 2014) – Grammy and Dove Award-winning vocalist John Schlitt is set to join actor Stephen Baldwin in a new sitcom, Rock And A Hard Place, slated to go into production in the Spring. The faith-based television project features Schlitt in the role of John, the maintenance man at Solid Rock Church, where Baldwin’s character is the pastor. The sitcom, which has reached its initial Kickstarter goal to produce the pilot, is currently in Phase Two as the production team strives to make a “reach goal” of $100,000. The deadline for contributions is 9 p.m. E.T. Thursday, January 16. The story line centers around Baldwin’s character, Pastor Darren Keaton, who has a young daughter, a live-in mother-in-law, a slowly declining congregation in a northern Illinois church. When Pastor Keaton learns he has become the new owner of Hard Knocks, the bar directly across the street from his church home, Solid Rock Church, he suddenly finds himself between “a rock and a hard place.” The pastor questions how his congregation will respond, how the church elders and staff will treat him, and how a devoutly religious man pastoring a church can possibly be allowed to own a bar? Pastor Darren finds he must look up for the answers, even more now than ever. Joining Baldwin and Schlitt in the cast are Braxton Cosby (Bill Cosby’s nephew) as the Solid Rock Church worship leader, Berkeley Clayborne as Rachel Keaton, and actress Lindee Link (Christian music singer Twila Paris’ cousin) in a surprise role. Grammy nominee Bryan Duncan wrote and performed the theme song for the new TV project. Darren Marlar is the series creator, producer, writer and also acts in the show. 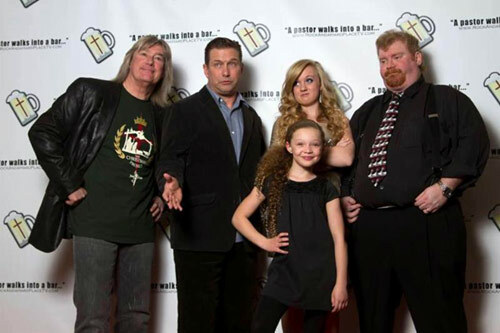 To contribute to Rock And A Hard Place via Kickstarter or to learn more about the faith-based sitcom, visitRockAndAHardPlaceTV.com. For more than three decades, John Schlitt has enjoyed a stellar musical career as a solo artist, as the lead singer for Grammy Award-winning Christian band Petra, one of the most successful Christian rock bands of all time, and as the former lead singer for popular ’70s mainstream rock band Head East. He has been inducted into the Gospel Music Hall of Fame as the lead singer of Petra during the years when the band won 10 Dove Awards and four Grammy Awards. Schlitt was named the best rock singer in Christian music history by GospelMusicChannel.com. According to the website, Schlitt “remains one of the most distinctive and impactful men to ever stand behind a microphone.” Schlitt was also named Male Vocalist of the Year in About.com’s 2011 Readers’ Poll in a category that included Chris Tomlin, Jeremy Camp, Brandon Heath and Bebo Norman. Since Schlitt released his fourth solo CD, The Greater Cause, in May 2012, the legendary vocalist’s busy schedule has included appearances on The Mike Huckabee Show, 700 Club Interactive and the Faith & Freedom Celebration–the faith-based kick-off to the Republican National Convention, as well as extensive international touring. Schlitt released his first recorded project of Christmas music this past November with the digital release of The Christmas Project. For more information on Schlitt visit johnwschlitt.com or follow him on Twitter (@johnwschlitt) or Facebook (facebook.com/johnwschlitt). Millwood, VA (January 14, 2014) – American Idol finalist Jeremy Rosado launched his new single, “Hope for Tomorrow,” that is now available on iTunes, with a portion of the proceeds going to Project HOPE’s disaster recovery efforts in the Philippines where millions are still struggling after Typhoon Haiyan. The song was released by AIC Records. 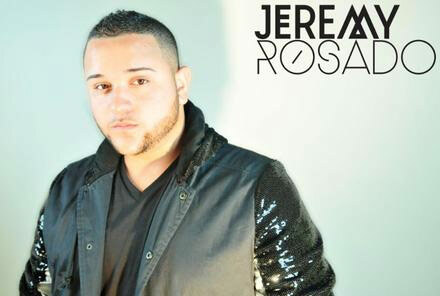 To download your copy of “Hope for Tomorrow” by Jeremy Rosado, please visit this link. For every 100,000 downloads of Rosado’s new song, Project HOPE and AIC Records will send two fans to the Philippines with Jeremy Rosado to see HOPE’s continuing medical mission and watch him perform. Individuals can enter this contest by visitingthis link. Rosado said the song was his way of giving back to his Filipino fans who sent him thousands of messages of support on social media during his run on American Idol. He credits these loyal fans for inspiring him to build a successful career as a recording artist after Idol. The Virginia-based NGO Project HOPE has been deploying medical volunteers to the remote Panay Island in the Western Visayas region and the Camotes Islands in the Philippines. Project HOPE has also shipped over $7.3 million in donated medicines, generators, First Aid kits, and surgical equipment. “There is still much work to be done in the Philippines to improve health care for millions of people. Typhoon Haiyan severely compromised many health facilities, and people are still traumatized by this tragedy,” said John P. Howe III, President and CEO of Project HOPE. Project HOPE has played a crucial role in saving lives in regions hit by natural disasters over much of the last decade, in Haiti, Indonesia, Japan, China and other parts of Southeast Asia. Rosado ultimately chose to partner with Project HOPE because of its legacy of providing health care to underserved communities. The NGO first arrived in the region over 50 years ago, aboard the SS HOPE, the first peacetime hospital ship. Project HOPE currently has health education programs in the region and worldwide. Grammy-award winning rock band Switchfoot will release their new album, Fading West, today on Atlantic Records/Word. The album was exclusively streamed as an iTunes Radio First Play last week offering fans a sneak preview. A 47-city U.S. tour in support of the new album has also been announced, with performances confirmed at Terminal 5 in New York, House of Blues Chicago, and The Wiltern in Los Angeles, amongst many others. A departure from the fuzzy, blistering guitars and bold rock sound of Vice Verses, Fading West takes the classic Switchfoot style and infuses a vast array of cultural influences collected during their 2012 World Tour that can be heard within the rhythms and sonic tapestry of the new record. With daring synth lines, inventive guitars and anthemic harmonies, this collection of songs is bigger and more powerful than anything the band has released to date. Rooted in the same hopeful message and quick turn of phrase that fans have come to love, Fading West is a renewed expression of change, hope and discovering your place in the world. The first No. 1 radio hit from the acclaimed album, “Love Alone Is Worth The Fight,” claims the top spot for the sixth consecutive week on the Billboard Christian Hot AC/CHR chart with a bullet while simultaneously hitting No. 16 and climbing on the National Christian Audience chart. In just its first week at radio, the song garnered plays from every Billboard Christian Hot AC/CHR reporting station, marking the only time this has happened since the chart launched in 2006. Switchfoot released their first feature film, also titled Fading West, on December 10th. Inspired by such films as Rattle and Hum and Endless Summer, the Fading West film follows Switchfoot as they travel the globe in search of new musical inspiration and perfect waves. Directed by Matt Katsolis and filmed during Switchfoot’s 2012 World Tour, the film charts the creation of the San Diego-based fivesome’s upcoming ninth album in its earliest and most unpredictable stages. Part rock documentary, part surf film, and part travelogue, Fading West offers rare glimpses of the longtime surfers on their boards and in the waves, captures the frenetic energy of their live shows, and in the end portrays a journey both epic and intimate. The film is now available across all leading Video On Demand platforms in the U.S. including iTunes, Amazon, Instant Video, Cable Movies on Demand, Google Play, Xbox Video, Sony Playstation, Cinemanow and Vudu with digital entertainment curator, FilmBuff. In addition, fans can request screenings of the film in a number of markets around the country in partnership with Gathr. As they enter their 17th year as a band, Switchfoot have sold 5.5 million copies worldwide of their eight studio albums (including their 2003 double-platinum breakthrough The Beautiful Letdown and 2009’s Grammy Award-winning Hello Hurricane), racked up a string of Alternative radio hit singles (“Meant to Live,” “Dare You To Move,” “Mess of Me,” “The Sound (John M. Perkins’ Blues),” “Dark Horses,” and “Afterlife”), performed sold-out world tours (visiting five continents in the past year alone), raised hundreds of thousands of dollars to aid homeless kids in their community through their own Bro-Am Foundation, and earned themselves a global fan base devoted to Switchfoot’s emotionally intelligent and uplifting brand of alternative rock. For more information on Switchfoot, Fading West, the latest tour updates and more, go to www.switchfoot.com. 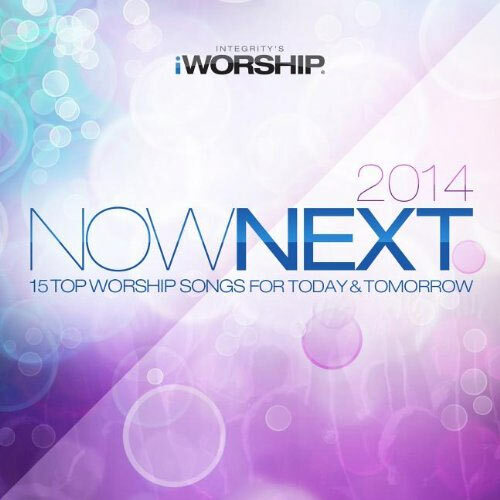 (January 7, 2014) – Integrity Music kicks off the new year with today’s release of iWorship Now/Next 2014, a collection of 15 worship songs that are impacting the church “now” along with new songs that are destined to be the “next” anthems sung by congregations the world over. The songs featured on iWorship Now/Next 2014 are from a variety of worship leaders, artists and ministries including: All Sons & Daughters, Darlene Zschech, Martin Smith, New Life Worship, Paul Baloche, Planetshakers, Rend Collective, Tim Hughes, The City Harmonic, Worship Central, Dustin Smith and Jennie Lee Riddle. The tracklist includes two songs, All Sons & Daughters’ “Great Are You Lord” and Planetshakers’ “The Anthem,” recently tapped by Worship Leader magazine in their “Top20 Worship Songs of 2013”. It also introduces a new song (“Legacy”) from ICF Worship, a Zurich-based outreach of Europe’s International Christian Fellowship. The iWorship Now/Next 2014 collection will be available through Christian retail outlets and all major digital service providers including iTunes and Amazon. In addition, an exclusive Now/Next 2014 Digital Deluxe Edition featuring all 15 songs plus 5 bonus videos will be available through iTunes. Integrity created its iWorship line of products in order to resource the church and individual listeners – both adults and children – with new worship songs. Since its launch a decade ago, over two million iWorship audio and video products have been sold. This includes last year’s Now/Next 2013 collection along with the re-launch of its “@ Home” and “Visual Worship Trax” resources for personal and small group worship and church use, respectively. 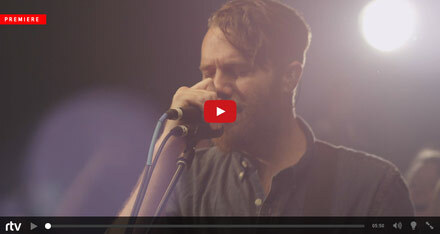 Acclaimed singer/songwriter John Mark McMillan is gearing up for the independent release of his fourth studio album titled Borderland on March 4, 2014. This will be the first album released through McMillan’s recently launched record label, Lionhawk Records. Borderland was funded by a Kickstarter campaign earlier this year raising over $69,000 and backed by more than 1,500 contributors. 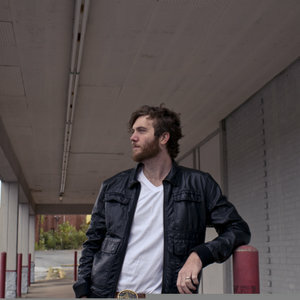 Fresh off the heels of a Christmas tour, John Mark recently released an original Christmas single via Noisetrade titled “Baby Son,” which has been downloaded by over 10,000 listeners. All proceeds from this song will go to World Vision’s relief efforts in the Philippines. Click here to get “Baby Son.” In 2014, John Mark will begin his headlining tour to support Borderland. Information on the tour will be forthcoming. NASHVILLE, TENN. – January 08, 2014 –Well-respected and GRAMMY-nominated worship leader Kari Jobe is preparing for an impactful 2014 with her tour that will coincide with the release of her highly anticipated new album and live DVD, Majestic (Capitol CMG), which will release on March 25. 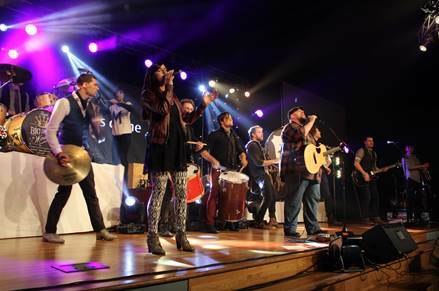 Jobe’s “Majestic Tour” will feature special guest Rend Collective beginning February 27 concluding on April 8. Tickets are available via Premier Productions here. The tour will feature songs from Majestic that showcase what Jobe does so giftedly and gracefully – lead others into an unique worship experience. Jobe’s forthcoming album was recently recorded live at the historic Majestic Theatre in her hometown of Dallas, Texas and features her upcoming new single “Forever” that will be going for adds at radio on January 31. In addition to the release ofMajestic, she will be releasing her first-ever full-length live concert DVD. This DVD will also be a part of the physical deluxe edition of Majestic featuring bonus songs in addition to the full concert footage. Majestic co-writers include Chris Tomlin, Matt Redman, Reuben Morgan, Brian Johnson, Jason Ingram, Paul Baloche, her band mates along with a few others. These songs are new anthems of worship and very congregational. National Christian, Gospel and Top 200 Charts. The radio singles “We Are” and “Steady My Heart” saw much success at AC Monitored and Indicator charts as well as the National Christian Audience chart. The album also received much praise from a wide range of media outlets from Worship Leader to New York Times. About Kari Jobe: After being established as one of the premier worship leaders with her Dove Award-winning, self-titled debut, Kari Jobe released her highly anticipated follow-up album, Where I Find You, on Sparrow Records. She has toured on the largely popular Winter Jam Tour Spectacular, Chris Tomlin’s “Burning Lights” tour, the Hillsong Conferences (Sydney and London), Passion Conference, Women of Faith events as well as headlined her own tours in 2012 with special guests All Sons & Daughters and Warren Barfield. Jobe also released The Acoustic Sessions and Where I Find You Christmas Edition digitally in 2012. She was also a part of special projects such as the award-winning Passion: Let the Future Begin (“Revelation Song”) and My Hope: Songs Inspired by the Message and Mission of Billy Graham. (“The Cross is My Confession”). Nashville, Tenn. (January 8, 2014) – On February 4, 2014, Passion City Church Resources will unveil the new Passion Talk Boy Meets Girl and Passion Talk Series: The Essential Collection, featuring four key titles bundled together for the first time. The offerings are the newest installments of the powerful and compelling, 1 million plus selling Passion Talk Series from Passion founder, Passion City Church Pastor and visionary, Louie Giglio. The Passion Talk Series: The Essential Collection will feature a brand new talk, “Moved By Mercy,” which has left audiences across the country inspired on Chris Tomlin’s “Burning Lights Tour,” the most successful of his career. The heavens are telling glory of God, and their expanse the work of His hands. Night after night they remind us of just how small we are, and how huge God is. Looking out into the far reaches of the universe, we find a seemingly vast expanse of mystery and wonder, intricately fashioned by a God of unfathomable size and power. Just a glimpse of one of the billions of visible galaxies He has formed resizes us, shrinking us, and the world we call home, to seeming insignificance in an instant. But as tiny as we may seem, the God who knows every star by name also knows yours, and mine. And in the most stunning rescue imaginable, God sent His son to this spinning planet we call home – the Creator reconnecting us to Himself with life that never ends. Indescribable takes us on an image-rich journey through the cosmos, allowing us to peer into God’s universe to discover the amazing magnitude of His greatness and grace. Your life is a miracle, and the creator of the universe knows you by name. He’s big enough to breathe out stars, yet intricate enough to fashion together the trillions of cells that make up every facet of who you are. The God who spoke the universe into existence made you, too and knows everything about you. From the smallest molecule to the situation you find yourself in right now, He’s aware of your circumstances and intimately acquainted with everything you do. And He cares about you and promises to carry you through. That’s where we find hope in the midst of the darkest places in life. The journey often complicated and painful filled with confusion and chaos. Yet, the cross of Christ reveals God’s promise to preserve and restore you no matter what the circumstance. He will hold onto you and hold you together, giving strength to those who hope in His unfailing love. It’s staggering when we begin to realize that all creation is singing the praises of the One who fashioned and formed the universe. Yet, singing stars and earth’s ovation cannot drown God’s desire to hear your voice. In the midst of a miraculous and immense symphony of praise, God is still mindful of you, going to extraordinary lengths to give you life and breath through His Son. But why would God pay such a high price to bring us to life again? Could it be that we are prized above all creation…that we are loved by the God who made the heavens and the earth. Such stunning grace awakens our hearts in extravagant worship as we take our place in His symphony and join the chorus, on both the best of days and through the darkest nights. A father. A son. And a dance floor. How far can we run from God? Can we ever do enough to make Him give up on us? Moved By Mercy transports us to the heart of the conflict between the crippling feeling of guilt and the lavishness mercy, and shows us how a Father’s love can overcome all wrongs. Passion is currently gearing up for Passion 2014, the gathering and movement of 18-25 year olds seeking to stake their lives on what matters most. This year they are set to host gatherings in two cities, joining together in Atlanta on January 17-18 and Houston on February 14-15. It was recently announced that the Atlanta gathering has sold-out, but Houston still has space remaining. For more information, visit 268generation.com. The Passion Talk Series features hours of compelling content from Passion Founder and Passion City Church Pastor Louie Giglio. The collection of talks has been experienced by millions around the world, and each talk tells a meaningful story of God’s goodness, grace & love. This series includes four full length talks which will inspire, encourage & speak to God’s grace & truth. These messages are being used by small groups, life groups, and churches, as well as among friends & family members around the world. Many have been impacted by the stories, images and powerful messages captured in each of the talks. The Passion Movement and the messages of founder Louie Giglio have marked the lives of millions of people around the globe, calling people everywhere to live for the glory of God. Focused on the collegiate age group – yet spilling over to people of all ages – Passion exists to unite students for spiritual awakening in this generation. From its inception, the movement of Passion has birthed new anthems of worship, influencing countless churches and helping to define the current worship climate and establish artists Chris Tomlin, Crowder, Matt Redman, Christy Nockels, Kristian Stanfill and others. Louie is the pastor of Passion City Church in Atlanta, GA. Founded in 2000 by Louie Giglio, sixstepsrecords is a worship label and a division of Passion Conferences. sixstepsrecords’ artists include Chris Tomlin (Burning Lights), Crowder (Neon Steeple), Matt Redman (Your Grace Finds Me), Christy Nockels (Into the Glorious), Kristian Stanfill (Mountains Move) and Passion (Passion: Let The Future Begin). The label partners with Sparrow Records/Capitol Christian Music Group for A&R, marketing, sales and distribution operations. For more information on sixsteprecords, visit: www.sixstepsrecords.com.